There have been a couple of positive developments in Singapore and Hong Kong over the past week. 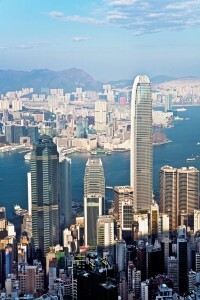 Hong Kong’s Convention for the Avoidance of Double Taxation with Mexico came into force last week, after being ratified by authorities in both countries. The agreement covers profit tax, salaries tax, and property tax in Hong Kong from April 1 next year, while in Mexico, it covers federal income tax and business flat-rate tax from January 1, 2014. Dividends income is taxable in the country of the recipient. Interest income can be taxed in both territories. For royalties income, if the recipient is the beneficial owner of the income, the withholding tax rate is capped at 10%. Corporate profits are taxed only in the jurisdiction where the company is incorporated, unless that company has a permanent establishment in the second jurisdiction. The agreement between the two countries also includes provisions for sharing tax information in line with OECD standards, allowing the facilitation of cross-country investigations into fiscal crimes. We mentioned Singapore’s Productivity and Innovation Credit (PIC) scheme in our recent post about the Singapore budget. The scheme, which aims to help companies enhance productivity, generated a lot of interest in Singapore, and last week, the IRAS, Singapore’s tax authority, further clarified the terms of the PIC Bonus. Businesses that invest in qualifying activities from 2013 to 2015 may enjoy a dollar-for-dollar matching cash bonus given on top of the existing 400% tax deductions/allowances and/or 60% cash payout. Qualifying activities include the acquisition or leasing of IT and automation equipment, employee training, the acquisition and licensing of intellectual property rights, the registration of patents, trademarks and designs, research and development activities and design projects approved by the Design Singapore Council. The PIC Bonus is taxable and will be subject to an overall cap of SGD15,000 (USD12,040) for all three tax years combined. The PIC Bonus is beneficial for SMEs and Singapore startup companies, during the transition towards a more productivity-oriented economy. As such, businesses that are eligible for the bonus are sole-proprietorships, partnerships, and companies with at least USD 5,000 in PIC-qualifying expenditure.